Kendall Jenner joined her father, Caitlyn Jenner, at the 2018 Vanity Fair Oscar Party at the Wallis Annenberg Center for the Performing Arts on Sunday night in Beverly Hills, California. They arrived separately and did not take photos together on the red carpet. The ‘Keeping Up With The Kardashians’ reality star showed off her incredible legs in a short dress from Redemption’s Spring 2017 Couture collection featuring ginormous sleeves. Do you think it’s possible to sit down in this thigh-grazing mini dress? She also sported Christian Louboutin‘s popular ‘Uptown’ pumps that are designed with a classic pointed toe and flattering d’Orsay silhouette. You can buy them at Net-A-Porter. 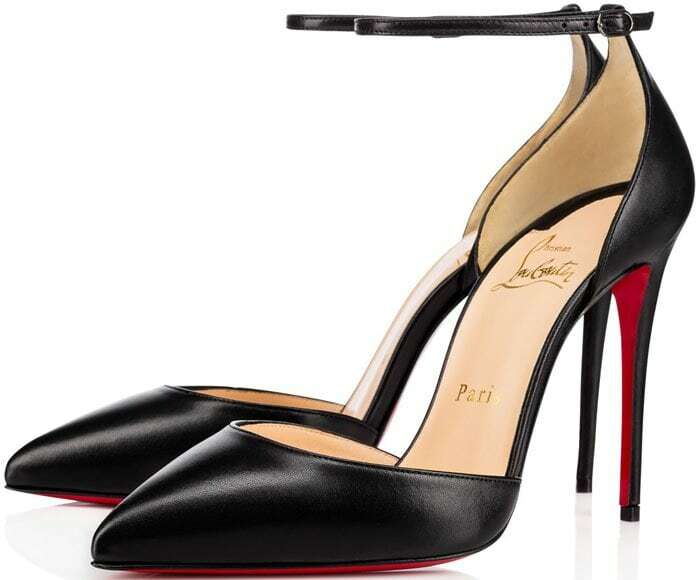 Her father, Caitlyn Jenner, joined her daughter in a matching pair of pointy-toe pumps. 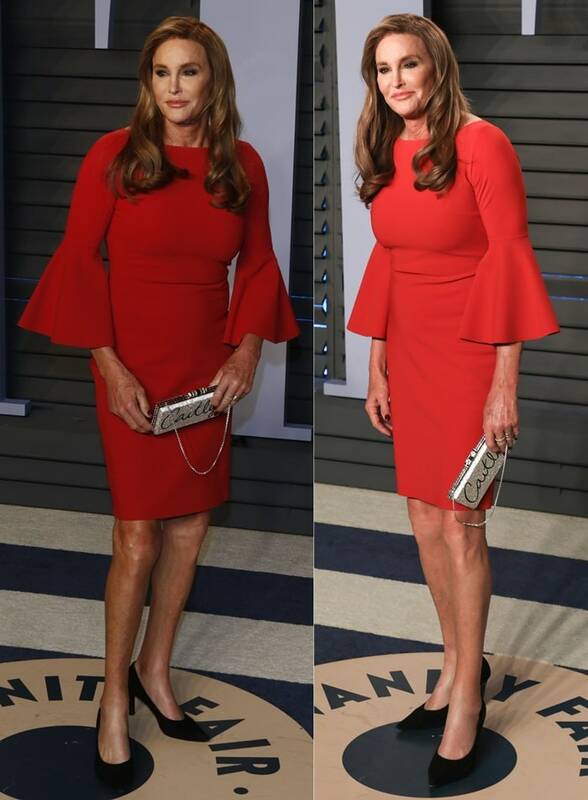 In addition to the Vanity Fair bash, Caitlyn also attended Elton John’s 26th annual AIDS Foundation Academy Awards Viewing Party. 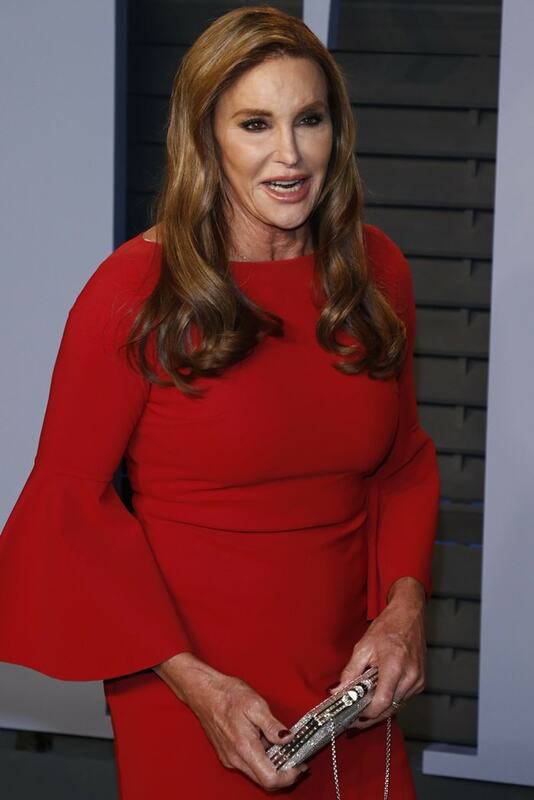 She looked lovely in a short red dress and toted a personalized silver clutch that read ‘Caitlyn’. Who do you think was best dressed? 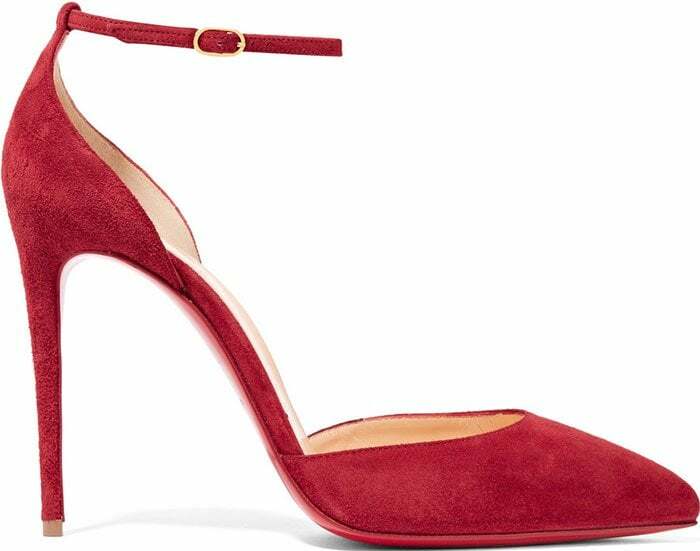 You can buy Kendall’s gorgeous pumps in black leather and crimson suede at Net-A-Porter. Which color do you like better? 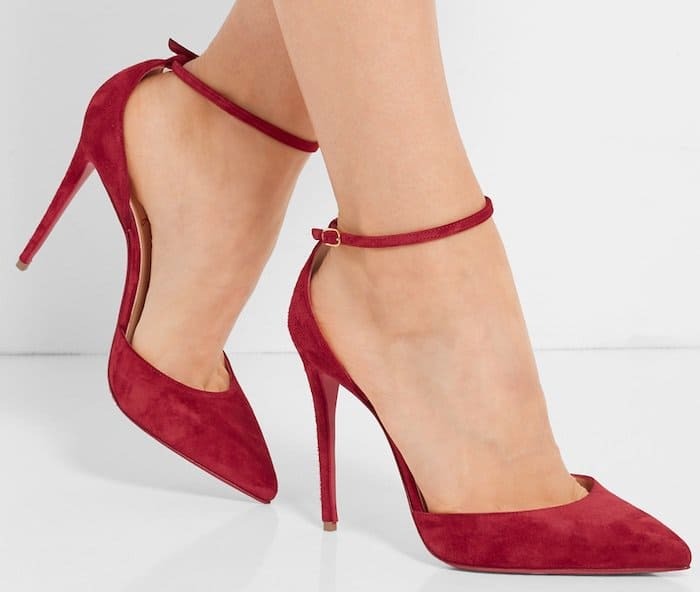 These heels have been crafted in Italy from supple suede – the crimson hue matches the brand’s signature lacquered soles. An elegant addition to your evening wardrobe, this pair is designed with a slender heel, ankle strap and sleek point-toe silhouette. Sleek stilettos are at the top of our list of wardrobe staples. 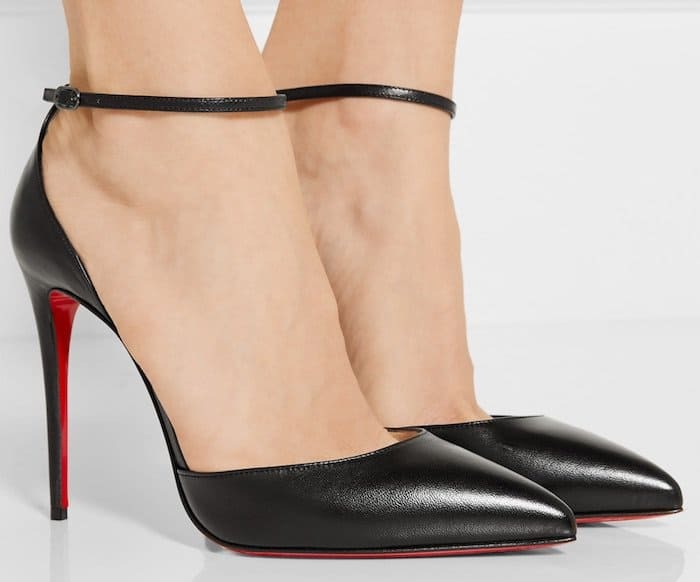 Crafted from smooth leather and set on a leg-lengthening slender heel, these pumps are designed with a classic pointed toe and flattering d’Orsay silhouette.